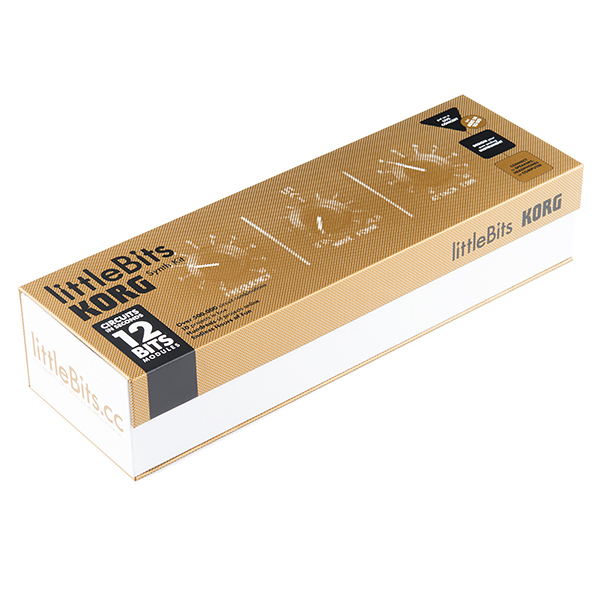 This is the Korg Synth Kit from littleBits, a perfect electronics kit for beginners and experts alike that contains everything you need to make music on your own analog synthesizer. 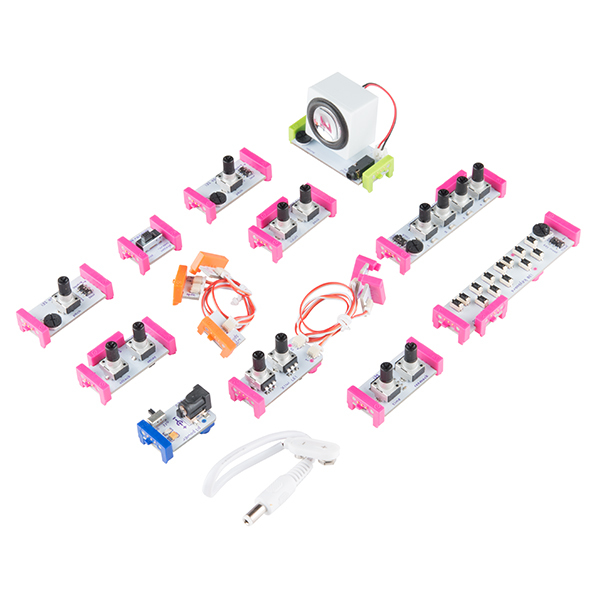 With the littleBits Synth Kit no engineering or musical knowledge is required to build your own, customizable, sound machine. Included in the Korg Synth Kit are nine "input" littleBits modules to manipulate your music to your bidding, a 9V power module and battery, a most wonderful synth speaker, and a full-color instruction booklet with 10 fun projects to create. With this kit you will be able to easily make a multitude of projects including: learning how an oscillator works, playing notes on a keyboard, or just having fun with a random sound generator! It even comes in a snazzy cardboard box with magnetic closure. Each "Bit" is a piece of an electronic circuit. The bits are color coded and divided into 4 categories: power (blue), input (pink), output (green), and wire (orange). By combining the modules in different ways (by simply "snapping" them together magnetically) you can quickly create any number of interactive electronic projects.